In a recent circular, the Ministry of Personnel, Public Grievances and Pensions Department of Personnel and Training has invited comments on the draft RTI Rules, 2017. These Rules would replace RTI Rules, 2012. Suggestions from concerned stakeholders may be sent by 15th April, 2017, via email to Ms. Preeti Khanna, Under Secretary (RTI), North Block, at usrti-dopt@nic.in. The Rules add definitions for the Chief Information Commissioner, Decision, Information Commissioner, Non-compliance, Representative, Secretary and Section. They add provisions elaborating on the documents and the format for filing a complaint with the Commission, return of such complaint, and the procedure for deciding complaints. Compliance of orders of the Commission has been prescribed to be filed within 30 days of the date of the order, in a case where no time period is fixed for the same. The Rules also introduce a provision for amendment or withdrawal of an Appeal during the course of hearing. A provision for abatement of an Appeal or a complaint on the death of the Appellant has also been introduced. · Fees prescribed under draft-rule 3 should be raised to rupees fifty with provision of providing first 20 copied pages free-of-cost inclusive of postal-charges as specified in draft-rule 4-g. It will avoid man-hours and postal-charges to both public-authorities and petitioners in demanding and remitting copying charges, and will impose a check on RTI petitions filed for fun or otherwise. · Second paragraph under draft-rule 3 about a word-limit of 500 words in a petition, contradicts the first paragraph and as such should be deleted. · Draft-rule 5 should include restriction of number of free copied pages to be provided to person below-poverty-line to avoid misuse of provision by big contractors filing RTI petitions through casual labourers of BPL category. · Mode of payment of RTI-fees in draft-rule 6 should include RTI stamps to be issued in denominations of rupees 2, 10 and 50 as per repeated CIC-verdicts to abolish enormous handling-charge of postal-orders costing rupees 39.99 to postal-department alone apart from clearing-operations. · Draft-rule 16 should be totally changed to have a provision of interim CIC-order giving directions to public-authority, followed by a final hearing-date for ensuring compliance of CIC-verdict after three months. Post-lunch sessions on last working-day of every week can be reserved for hearings to ensure compliance of CIC-verdicts. Penalty-proceedings should be decided during normal hearings with necessary changes in notices for hearings. · Draft-rule 19 should make it compulsory for a public-authority to submit written explanation at least 15 days in advance with copy to petitioner. Most of the times, public-authorities provide satisfactory response on the matter reaching to CIC. · Draft-rule 20 should make it compulsory for CIC to despatch hearing-notice at least 30 days before the hearing-date. Presently at times, CIC-notices reach to parties just on hearing-dates. 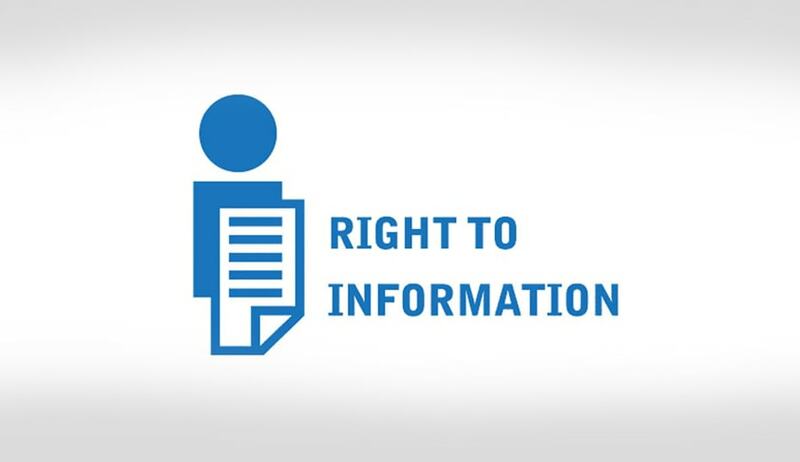 · New rule should be added for making it compulsory to file ID proof with every RTI petition filed with a public-authority, to avoid mischievous petitions filed in names of others or non-existing persons. Persons desiring to remain anonymous can file RTI petitions through Post-Box numbers. 1. I am glad that Govt has sought Comments from Civil Society is in accordance with Section-4(1)(c) of the RTI Act. 2. However this notification gets limited to only those who are Internet friendly and that too onlytwo weeks’ time given to spread the message among citizens by RTI campaigner and get their views. 4. What about views from the rest and rural areas. Certainly not giving wide coverage to notification is a violation of Sections 4(2) to 4(4) of RTI Act? 5. I am also surprised that there is no PRESS RELEASE issued so far, if there is one…I have not seen..
6. On first look I can say that the proposed rules are not people friendly and it is going to dilute the Act. We need to analyse not only CHANGES but also OMISSIONS in the proposed RTI Rules. 7. On 10 December 2010, government had also sought public view…which resulted in notification of RTI Rules-2012.